A good 19th. 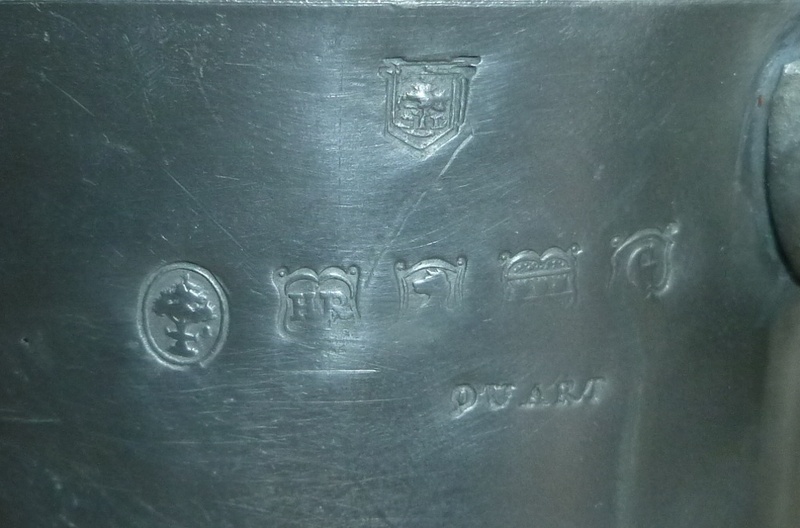 century Scottish pewter quart pub mug bearing the hall marks of Henry Reid who worked in Glasgow from 1840 to 1847. Verified in Glasgow. Top diam. 4 1/4", bottom diam. 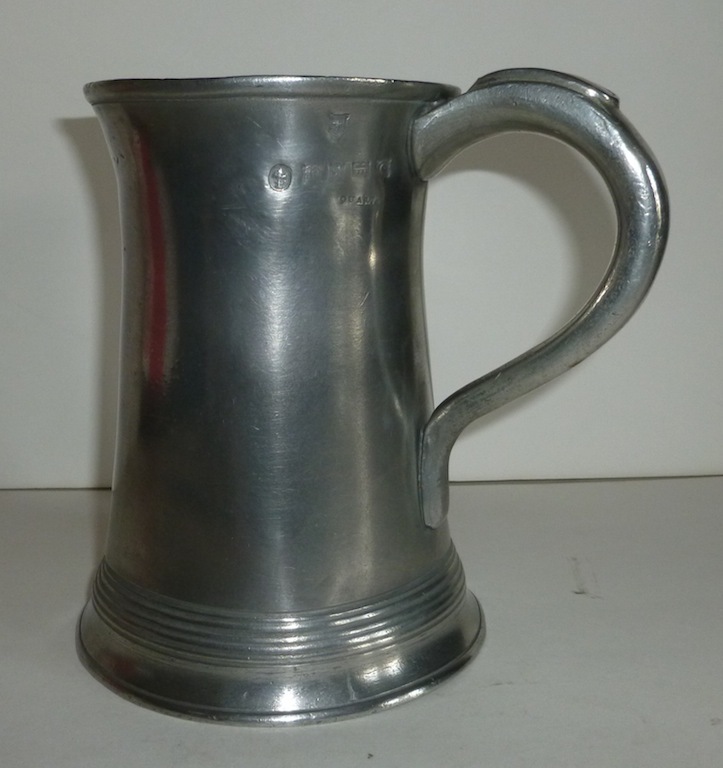 5 1/4", height 6 1/2"